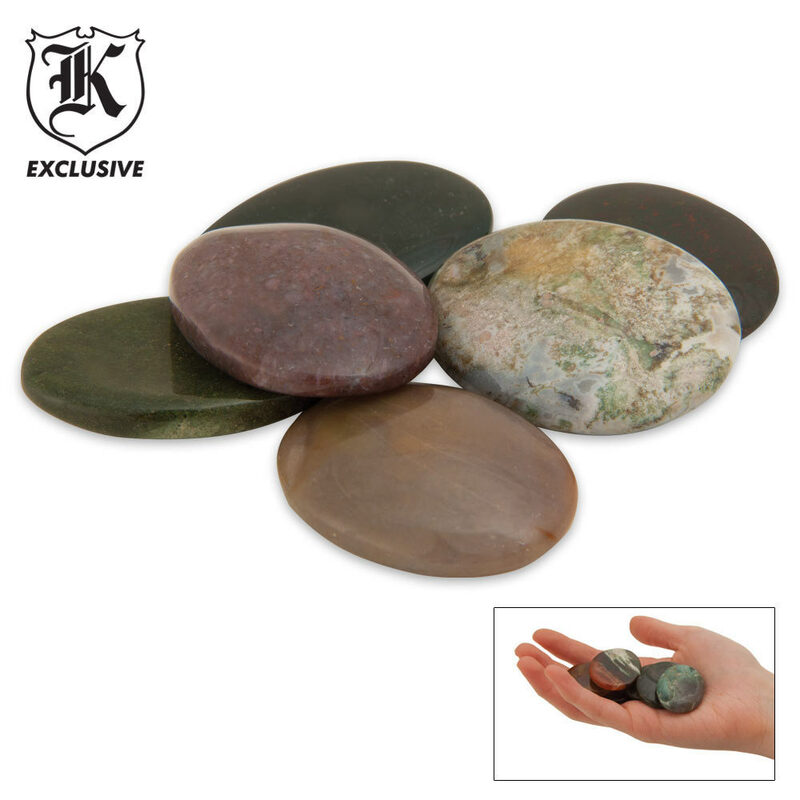 Worry Stones (Pack of 6) | BUDK.com - Knives & Swords At The Lowest Prices! These Worry Stones will help lessen your worries, just by rubbing them between your index finger and thumb. These stones can create feelings of calmness and reduce stress levels. Each stone in this six-piece set measures approximately 1 1/2" x 1". Colors may vary.